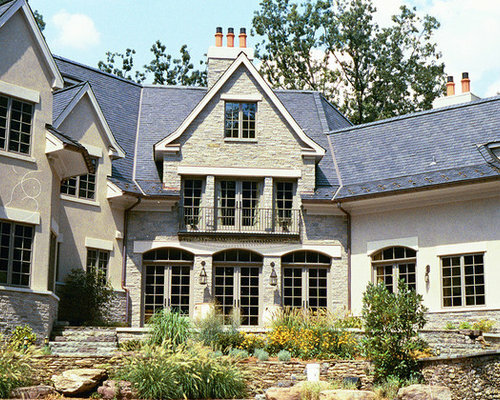 French limestone facade and detailing. 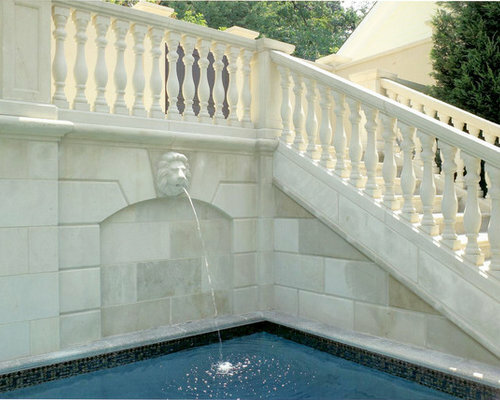 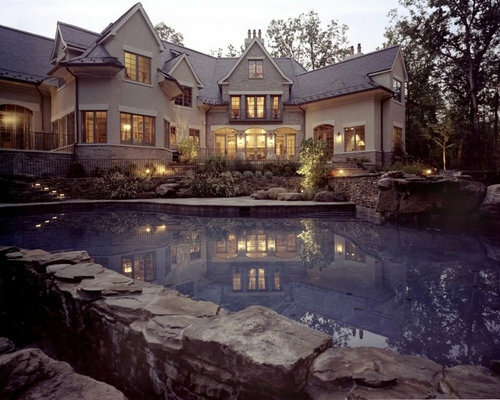 French limestone facade, balustrade rail and hand-carved lion head fountains. 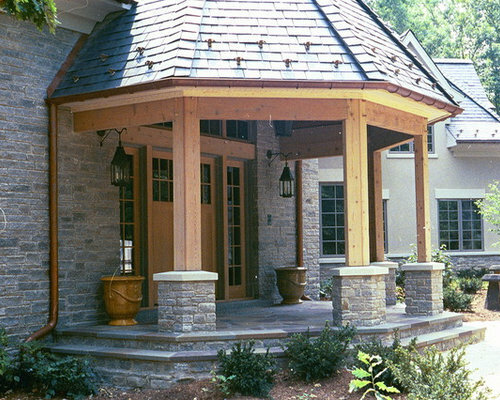 Limestone facade with solid limestone balustrades and hand carved lions head water feature. 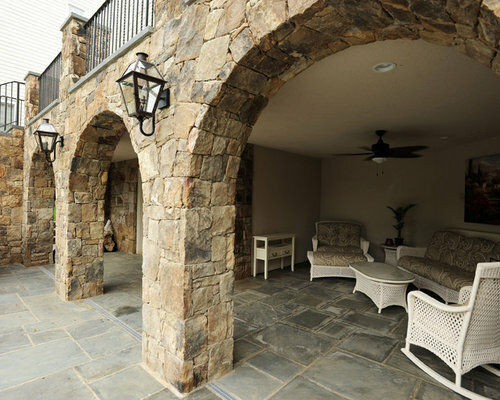 Western Maryland natural stone arches and terrace over flagstone paved patio area. 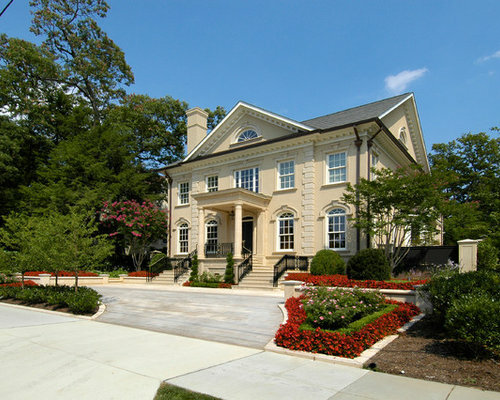 Split face Jerusalem gold limestone facade and Jerusalem limestone tumbled pavers. 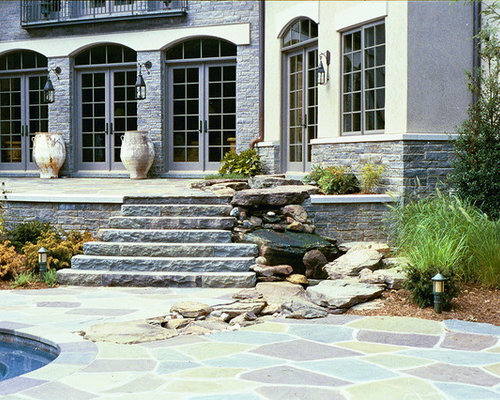 Silver Lake Ashlar Strip Veneer with Bateig Azul Limestone accents. 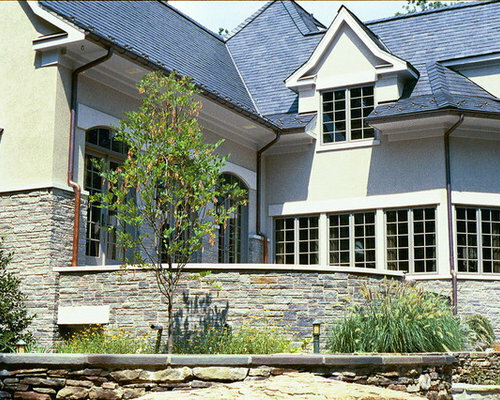 Silver Lake Ashlar Strip natural stone facade with Bateig Azul Limestone accents.